About this objectThis coat is made from rakali (Australian water rat) pelts. 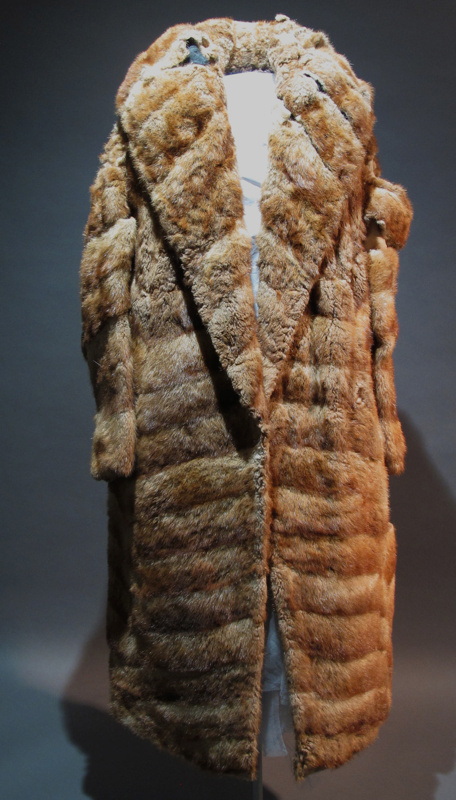 The coat has a very stylish collar and patterning of the skins. The fabric used for the lining has a brocade.